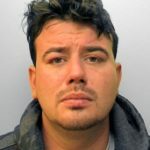 A man suffered a serious facial injury in a fight in the centre of Brighton in the early hours of Sunday morning (30 August), Sussex Police said. The fight involved two groups of people and happened near the corner of New Steine and Marine Parade, Brighton. Sussex Police said: “The 44-year-old victim was taken to the Royal Sussex County Hospital, Brighton, for treatment. Anyone able to help is asked to phone Sussex Police on 101, email 101@sussex.pnn.police.uk or call the independent charity Crimestoppers anonymously on 0800 555111. A 24-year-old man, from Billingshurst, and three men, aged 21, 23 and 25, from the Ashford area in Kent, were all arrested on suspicion of affray. All four have been released on bail until Friday 30 October while inquiries continue.